Looking for a healthy side dish for that next gathering (to replace a maybe-not-so-healthy-choice!) or just to add as a filling and tasty side dish to your grilled chicken or fish? This beautiful, super-easy side salad is a perfect pairing to any FRESH entree! Try it and then tell us it's not your new favorite! Refrigerate mixture for about 1-2 hours then stir thoroughly again and serve! 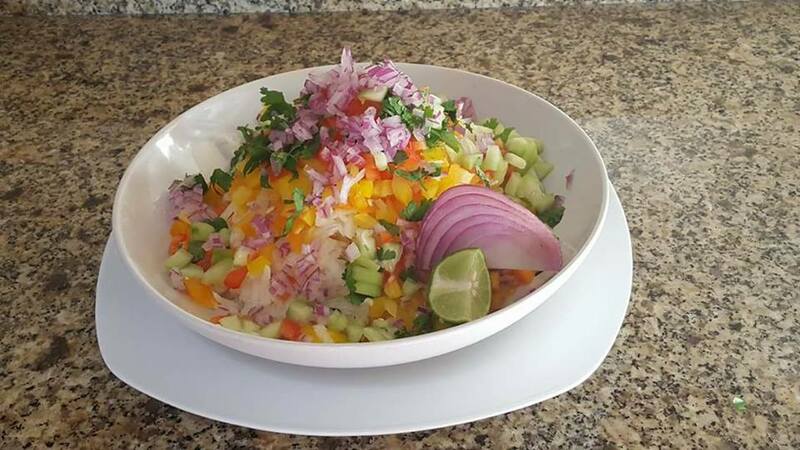 Enjoy as a FRESH and healthy side dish that everyone loves! At potlucks and gatherings around our house, this dish gets wiped clean!